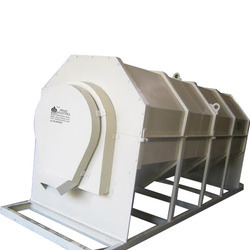 Leading Manufacturer of continuous rotary dryer from Ahmedabad. We are operating as the successful manufacturer and supplier of Continuous Rotatory Dryer. The offered machine is extensively used for the drying of wet powders and cakes for easy grinding. This dryer is demanded in the pharmaceutical, food processing and biochemical industries. We are well equipped for handling bulk orders and are prompt with deliveries.